I blame two things for getting me obsessed with nail art: Jo and Wah nails. 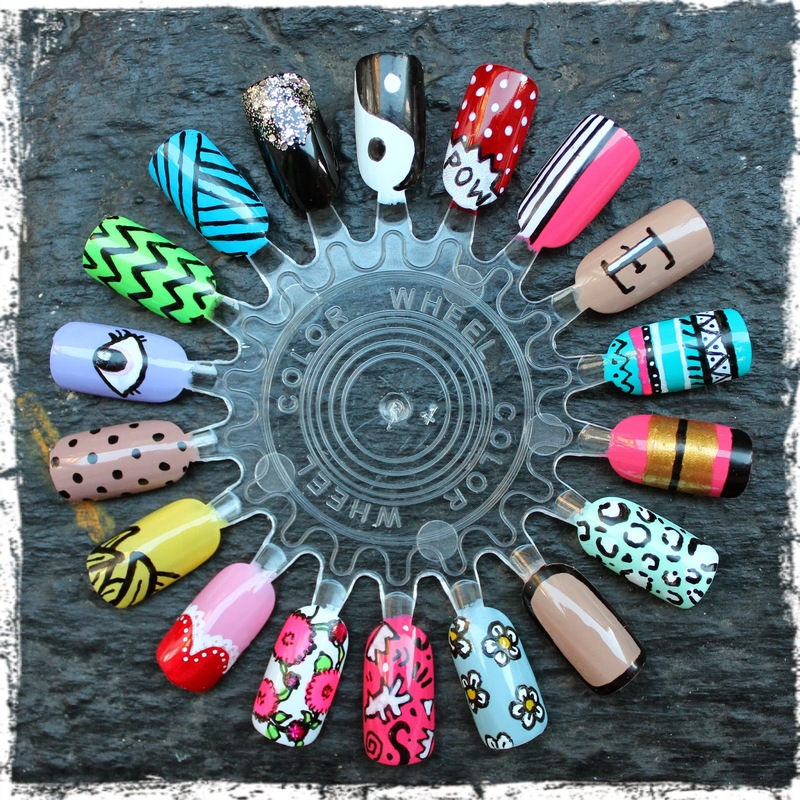 The two are combined as well because Jo had got her nails done at Wah when she showed me them at the V&A. Since then, well, I think this blog is testament to how obsessed we both are. For my birthday this year I treated myself to some nail goodies. Among other things was The Wah Nails Book of Downtown Girls. I instantly became inspired by the new designs published. Whilst I still love the Wah crew and all of their designs I preferred the simplicity of the first book. I am all about helping out friends and fellow career guys and gals but I felt there was too much of other people and not enough Wah. The wheel above has a combination of old and new Wah designs. My faves are the bananas, half stripe, aztec and leopard (mostly from the old book).